Nestlé had a unique problem. As a quality focussed organisation they needed to ensure that beverages across the globe all had the same taste, quality and level of safety. However more than 80% of their end product is made up of a substance they cannot control – Water. Water quality and safety varies significantly across the world and even across individual cities. 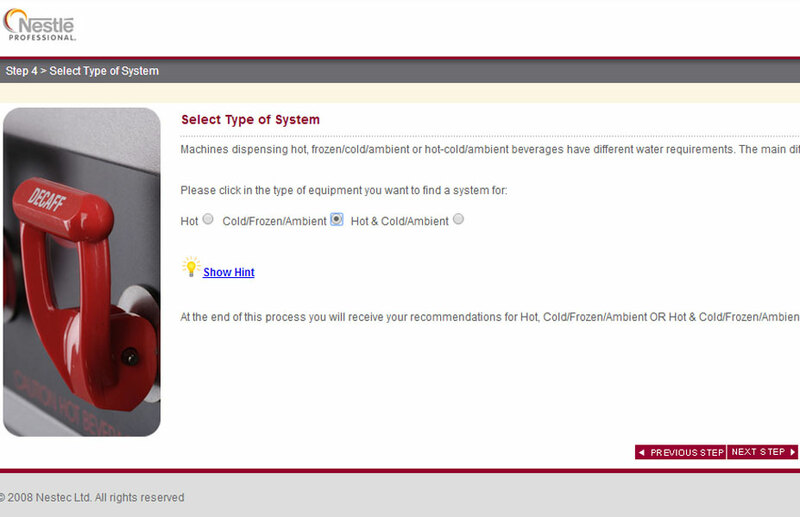 Nestlé needed a way to level the playing field when installing their machines in a customer’s facility. Highfield produced the Water Management Tool. 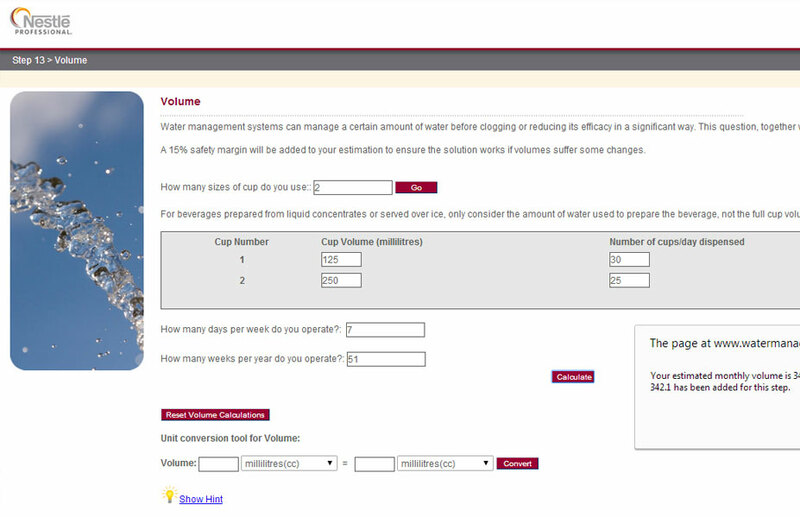 This easy to use system asks a number of questions on water quality and safety. 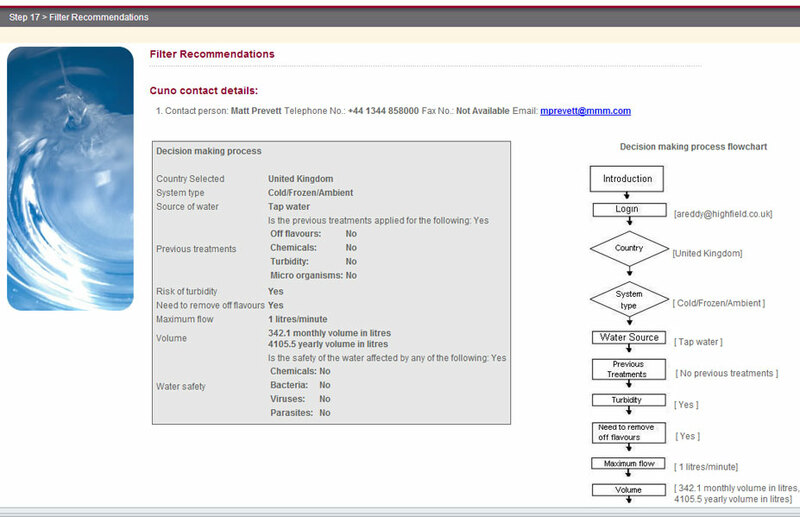 At the end of the process the system recommends a combination of water filters which, when fitted, would ensure that the quality and safety of the water is consistent. This system has dramatically reduced the amount of time required to ascertain the correct combination of filters. Following launch the system was adapted to show recommendations from a number of suppliers. This additional functionality gave Nestlé the power to manage costs without making any compromises on safety or quality.